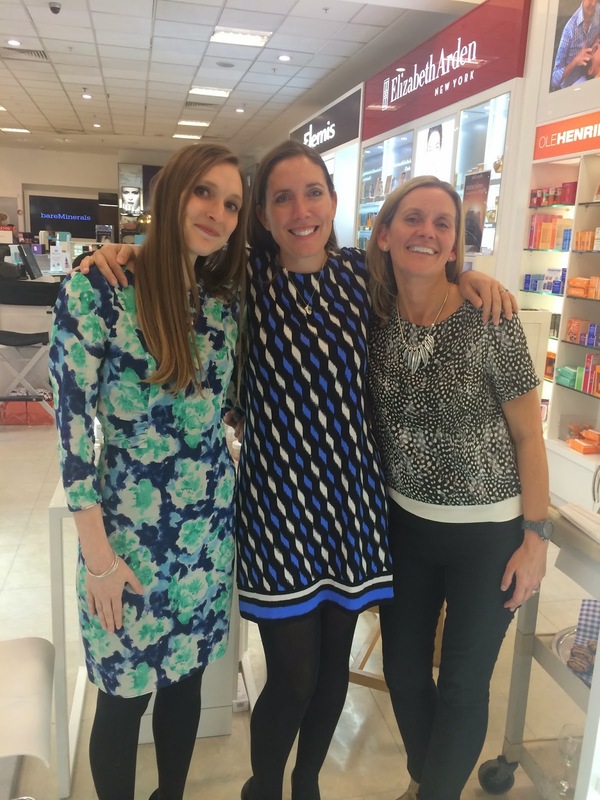 Whilst on my 2 week moving house break this month I was invited to go along to Debenhams in Leeds to an event organised by Marie Claire and Balance Me. Balance Me is a brand I'd seen around but hadn't tried any of their products so was excited to see what they had to offer! I love a good beauty event and it didn't bother me that I had to get the train over.. I was on holiday so time wasn't an issue! 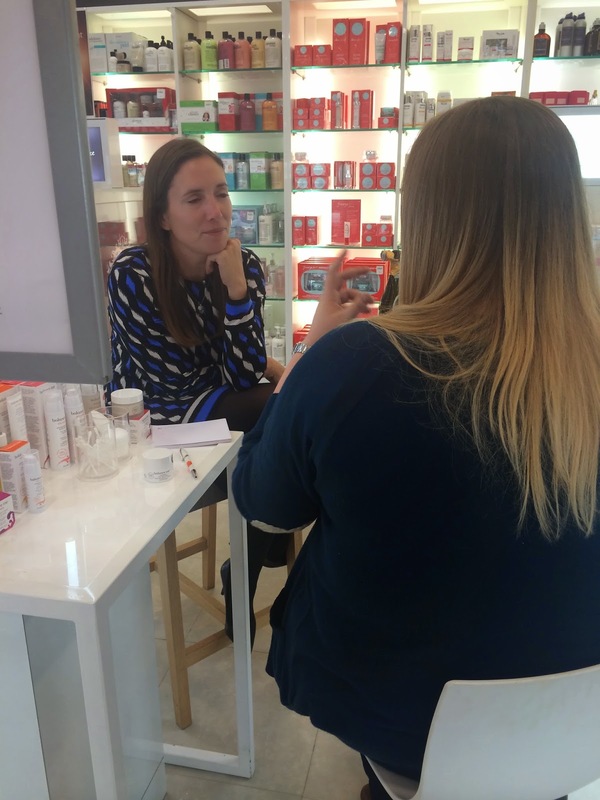 Sian Jones, Balance Me's director was there to welcome us all and offer a 10 minute consultation specifically looking at my skincare needs. They also had a crazy contraption set up that looked at the condition of your skin under a blue light- surprisingly to me I was told that my skin is in really good condition and only a slight bit of dryness under one of my eyes! They actually told me that I have pretty normal skin- for years I've always thought my skin was extremely dry! The relatively small but cover all bases Balance Me range on offer! A bit of info about Sian Jones- the skin expert! One of the lovely bloggers having a chat with Sian! The very friendly Balance Me ladies! I found the team and the other ladies really friendly and we all had a good natter (and prosecco!) whilst waiting to get our skin looked at. Of course with an event comes a bag of goodies. I love getting these as it means I can try all of their best sellers before having to part with my cash! 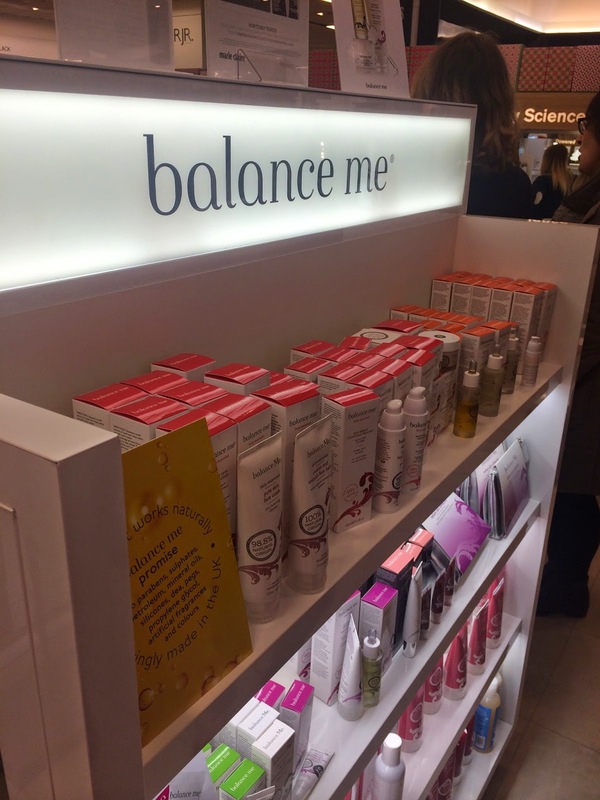 1. balance me cleanse and smooth face balm £20 125ml- I've tried this and instantly love it! Its a oil based cleanser with oatmeal powder in so you can really feel it working away at your skin in a gentle yet effective way. You pop it all over your face when dry, splash with water then remove with a cotton cloth- I use my Liz earle muslin cloth. 2. balance me moisture rich face cream £24 50ml- WOW...i've been looking for a moisturiser recently that can compete with my Benefit Triple Performance emulsion and this is a serious contender! I love a good thick cream that gives an instant feeling of softness and this does the job for sure! It is rather pricey though! 3. balance me super toning body wash £9 200ml- I've tried this once but i'll be honest.. I wasn't that keen- i think i know why though- I usually use shower gels/body washes that probably aren't so natural- most of the big brands are full of artificial fragrances and colours so I'm automatically conditioned to think that's normal- when really it isn't! This body wash, along with all of balance me's products are 99% natural origin meaning no paragons,sulphates,petroleum,mineral oils,silicones,sea,pegs (ehh?!) propylene glycol and colours and fragrances. I don't give up with products though so I'm going to give this another go! 4. balance me rose otto hand creme £14.50 100ml - I haven't used this product- Im not really keen on rose scents so I'm going to pass this on.. mum you fancy it?! If its anything like the moisturiser it will be lovely and thick! 5. balance me facial expression filler £22 15ml- I have used this product once.. Im not sure whether its something I need just yet at my age so I can't comment on whether it works or not.. sorry balance me! 7. balance me wonder eye cream £20 15ml - I've used this a few times now.. along with the Mr trying it out! It really does brighten your eyes. After having the blue light skin survey thing with the balance me team this is something I'm using religiously.. no under eye wrinkles or bags for me please! 8. balance me radiance face oil £30 30ml- i'm already a face oil user so this is a good one to add to my collection. Before using this i was using carrier oil but this one smells a lot yummier! You only need a tiny drop to do your whole face so although it seems expensive it would last you a good 6 months +! Overall I'm really impressed by the products I received from the event- my favs have to be the face balm and the oil. They both are things that fit nicely into my skincare routine. Have you used any balance me products? Which are your favs?